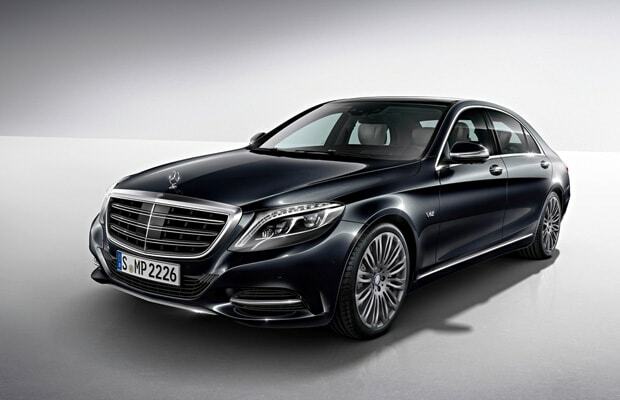 Merceds-Benz continues to assert its dominance at auto show after auto show. Amidst the insanity that is happening both inside and outside of the Cobo Center at the North American International Auto Show, and next to other debuts like the GLA45 AMG and C-Class, the S600 is sitting there in all of its plush, quiety, cozy, tech-crammed, beauty-infused, mobster-like glory. Yeah, I think those adjectives about cover it. "The S-Class has always been the embodiment of our claim to deliver the very best in terms of both technology and design", said Ola Källenius, Executive Vice President of Sales and Marketing at Mercedes-Benz Cars. "And our flagship model, the S600, epitomizes the focus of our development work, the &apos;Essence of Luxury&apos;, in a way that no other model can. Our customers in North America and Asia in particular will enjoy this new top model with its exciting V12 engine." And like most Mercedes models, this thing is powerful as all hell. M-B packed 523hp and 612 lb-ft of torque into that 6.0L V12 bi-turbo engine (13 more than last year&apos;s model, which had a 5.5L engine). Additional new features include the stop/start ECO mode already found on other Benzes, a new touchpad in the center console that will control what you see on those enormous screens in the dash, a heads-up display, and "collision prevention assist plus." RUH!